Tim Leffel is the author of several books, and the editor of Perceptive Travel, Practical Travel Gear, and Cheapest Destinations. He agreed to answer a few of our questions about travel, and shares his insight on cities with the best value, packing light, and going with the flow. You can find more of his writing at timleffel.com. Tim Leffel is the author of several books, and the editor of Perceptive Travel, Practical Travel Gear, and Cheapest Destinations. He agreed to answer a few of our questions about travel, and shares his insight on destionations with the best value, packing light, and going with the flow. You can find more of his writing at timleffel.com. Do you have any routine procedures when you travel? I walk a lot soon after getting into a new place. It’s the best way to get a sense of what the destination is about. Otherwise, I don’t like to have routines. You miss too much that way. I seem to have fewer of these as I get older and wiser. Different people travel in different ways and with different budgets. So one person’s peeve is another’s perfect situation. Cities and countries with bad public transportation systems still bother me a lot though, and so do places without good recycling programs for all the single-use plastic. What is your favorite kind of trip? That depends greatly on who is with me. With my wife I love exploring new cities and towns. When it’s just me I am usually doing adventure activities or taking bike trips. When my daughter is along, however, beach trips work best. I’ve got to go with the flow sometimes. What’s the best destination you have ever been to and why? This is everyone’s favorite question, but I don’t have a good answer. I’ve loved different places for different reasons. I liked Guanajuato, Mexico so much I movedt here for a year though, so I guess it puts that one near the top anyway. But my favorite place is usually the one I’m going to next! Where in the world offers the best value for money, in your opinion? That’s a toss-up depending on how you travel and where you go within the country. But for backpackers it would usually be Indonesia, Nepal or India. For mid-range travelers, Indonesia, Mexico, Ecuador, parts of Eastern Europe and Thailand. Where would you pay to stay? Is there anywhere you think offers great value and a great deal? I pay to stay places all the time when traveling with my family. Lately I’ve been doing most of my traveling in Latin America. You can get there and back without spending a fortune, there’s no jet lag, and a whole lot of the countries there are a good value overall. Many parts of Asia are too, but it’s not as easy to find a good flight deal and you need more time. What is the best airport you have flown from and is there a tip to make this airport experience a great one? Singapore’s airport always tops the “best of” lists for a good reason. But my criteria are pretty simple: free Wi-Fi, easy to get to your gate, decent food choices and bars with ample seating. Unfortunately, few even manage to hit all four of those. Is there one tip you could pass along about having a successful flight? Pack with just a carry-on if possible and pack light. We cover a lot of good gear for this at the Practical Travel Gear blog. A good way to do this is to consolidate all your gadgets and metal objects in one place before you get to the security gauntlet in the U.S.! Although travel writing is not a profession to go into lightly, many travelers adore reading good travel writing so much, that they often themselves long to capture and communicate the magic of their own travel experiences. What would you say to someone who wants to do this but doesn’treally know “how” to start? Funny you should ask: I just released a book called Travel Writing 2.0 and it has advice not just from me, but from dozens of other writers, editors, and publishers. See more at TravelWriting2.com – including detailed weekly reviews with successful travel writers. At one point in your life, you will have to sit in the middle seat when you fly. If you have two people next to you, who you most want to share a long haul with and whom would you least? Having Warren Buffett on one side and some random successful entrepreneur on the other would make for an interesting flight I would expect. The people I would least like to spend a flight with are any incessant chatters who continue talking when my ear buds are in. Besides the war zones? A trip to anywhere in Russia in the winter sounds pretty dreadful. I have no desire to visit Saudi Arabia. (And at least in Russia you can drink vodka to liven things up.) Lots of trips turn into nightmare trips easily, however, usually because of problems with transportation providers. You’ve written books, run a travel media company and still travel and write frequently – anything you haven’t done yet in life that you’d like to, travel-related or not? There are loads of places I haven’t been yet, loads of things I haven’t experienced, and stories I’d like to pursue as a writer. I’m not a box-checking, bucket-list-making traveler though. Mostly I just want to enjoy life, make enough money to pay the bills, and stay healthy. I’m pretty easy to please as long as those three things are moving along okay. Cheapflights is proud to have guest voices express their opinions. 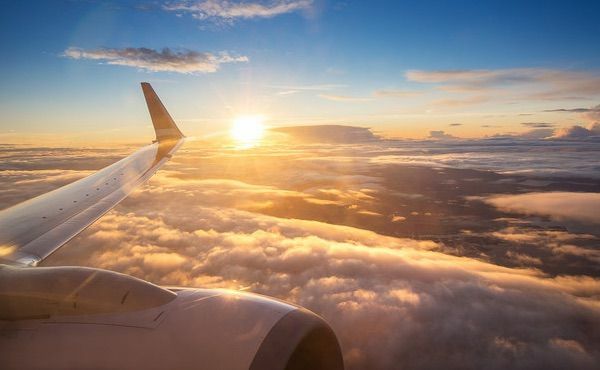 The views expressed are the author’s own and do not necessarily reflect those of Cheapflights USA Media Inc.
Pleasance is a British travel writer and online content specialist in travel. She has written for numerous publications and sites including Wired, Lucky, Rough Guides and Yahoo! Travel. After working for six years on content and social media at VisitBritain, she is now the Global Content and Social Media Manager for Cheapflights.